PARANG music has gotten a little bit sweeter with the latest release from the popular Los Dinámicos whose newest CD Mas Miel de Dinámicos translates "more honey from Dinámicos." Scores of patrons gathered at Privé nightclub and conference centre at South Trunk Road, La Romaine, for the recent launch and award celebration. The CD has ten tracks including Por tu Amor by Phillip Allard, a song composed by him and his sister Dr Francisca Allard. The duo were joint winners of the Copyright Music Organisation’s parang composer of the year award in 2008 with the hit song, Abre me la Puerta. The CD has Si que Lindo by Francisca, the lead vocalist, and features Hilton Lewis. Another popular song on the CD is Parosin, a collaboration with former chutney artiste Heeralal Rampartap. Los Dinámicos performed several of its songs to an appreciative audience. Newsday reporter Seeta Persad was among several people who were honoured by the band and presented with awards. Referred to as a "genuine supporter of the parang art form and of TT’s cultures," Francisca said, "Almost always when I see an article on parang in the Newsday, I will see the name Seeta Persad. Keep up the good work." Phillip presented Persad with the award in appreciation to her "invaluable contributions to the parang art form in TT." The band also honoured anthropologist John Sorrillo, Guardian senior photographer Tony Howell, linguist Dr Sylvia Moodie-Kublalsingh, sportsman Phil Simmons and radio personality Allan Diaz. 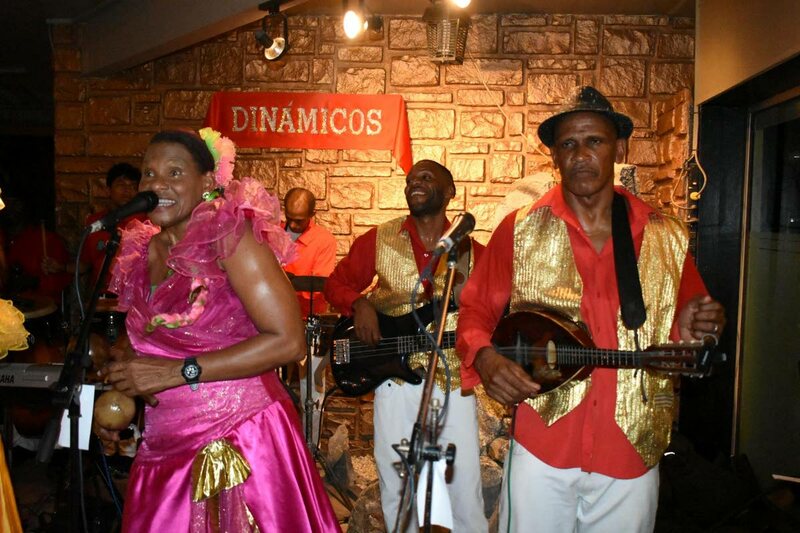 Francisca told the audience that Los Dinamicos always accompany Sorrillo and showcase Trinibagonian culture, academically and musically at various places. "Through Sorrillo’s efforts, we have toured several states in Venezuela like Sucre and Carabobo. We also toured Ecuador, St Vincent and most recently, Cuba. He was absent from our New York tour." Francisca referred to the former director of the University of the West Indies Centre for Language Learning Moodie-Kublalsingh as a "passionate linguist", especially with the Spanish language. The parang researcher is a special friend of Los Dinámicos since the band’s inception. "She was a special speaker at our first CD launch in 1991 at San Fernando. She took a bus to preside at our event. That was marvellous. She was also my academic supervisor at UWI, up to PhD level," Francisca said. According to the band’s official Facebook page Los Dinámicos was formed in September 1986 and is a combination of the Allard family, relatives and close friends. Its repertoire of music is largely original and composed by Francisca and Phillip. Reply to "More honey from Dinámicos"